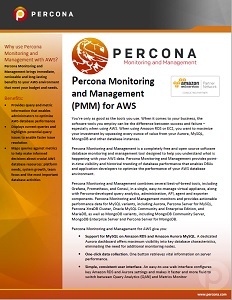 Percona Monitoring and Management (PMM) is a completely free and open source software database monitoring and management tool designed to help you understand what is happening with your AWS data. 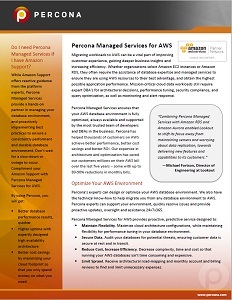 Percona Monitoring and Management provides point-in-time visibility and historical trending of database performance that enables DBAs and application developers to optimize the performance of your AWS database environment. 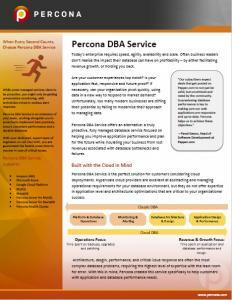 Percona Managed Services ensures that your AWS database environment is fully optimized, always available and supported by the most trusted team of developers and DBAs in the business. 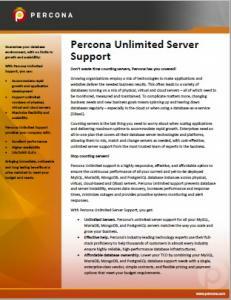 Percona has helped thousands of customers on AWS achieve better performance, better cost savings and better ROI. 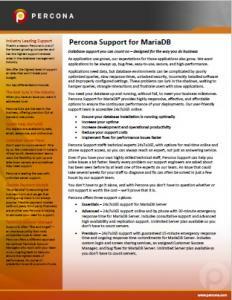 Percona Support for MariaDB provides you with real-time electronic and phone access to our expert technical team. Percona Support for MySQL provides you with real-time electronic and phone access to our expert technical team. Our 24x7x365 online and phone access policy ensures that you can always reach one of our technical experts, not an answering service. 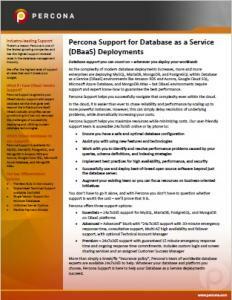 Percona Support for DBaaS provides you with real-time electronic and phone access to our expert technical team. Our 24x7x365 online and phone access policy ensures that you can always reach one of our technical experts, not an answering service. Growing organizations employ a mix of technologies to make applications and websites deliver the needed business results.